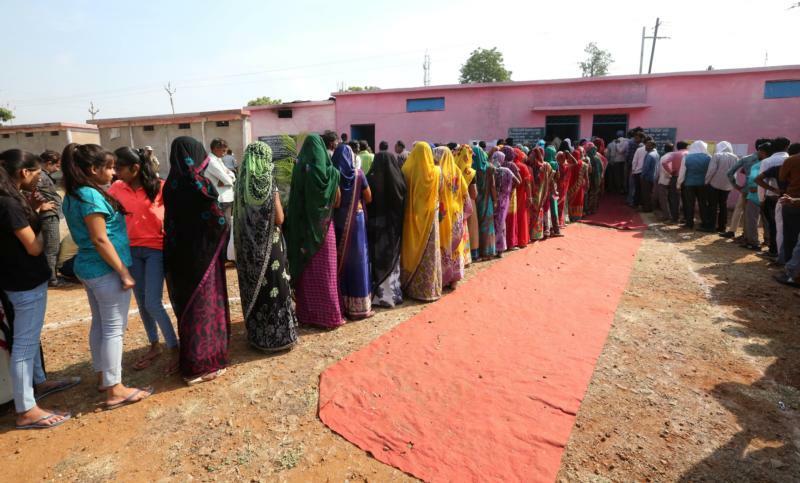 BHOPAL, India (CNS) — Hundreds of Christians, including a Catholic archbishop, were turned away from polling booths in India’s Madhya Pradesh state because their names were not on the voter list. Christian leaders claimed there was foul play in the Nov. 28 poll, reported ucanews.com. Archbishop Leo Cornelio of Bhopal, the state capital, and hundreds of other Christians had to return home without exercising their right to vote for legislators — although they had election identity cards and other relevant documents. Christian leader Saji Abraham started a petition to election authorities, seeking an investigation of what he branded a conspiracy. He and other Christian leaders suspect that Bharatiya Janata, the Hindu nationalist party that has ruled the state for 15 years, influenced officials to remove from voter eligibility lists the names of Christians traditionally considered supporters of the party’s archrival, the Congress Party. “I’m sure my name was deliberately deleted from the voter list, which is unjust and not a good sign for the democracy,” Archbishop Cornelio told ucanews.com. He said he was denied the right to vote, even though he showed his election identity card. Indira Iyengar, a 78-year-old Christian former member of the Madhya Pradesh State Minorities Commission, said there had been a BJP-supported move to lower the number of votes for the Congress Party. She, too, was denied the right to vote. Of the state’s 73 million people, about 311,000 are Christian. About 91 percent are Hindus, and about 7 percent of the state’s population is Muslim.